Whether you're a landlord with one property or a large portfolio, Porters will manage your investment with the utmost professionalism and integrity. We offer a 'fully managed', 'let and rent collection' or 'finder only' service, combined with a friendly, reliable approach and competitive fees. Porters can advise you on current landlord legislation and responsibilities to ease you through the process, always speaking honestly and clearly, to provide the knowledge and advice you need. Porters Estate Agents are NAEA (National Association of Estate Agents), PropertyMark, The Property Ombudsman, AgentSafe and TDS (The Dispute Service) registered, which gives you and your tenants peace of mind. If you have any questions, would like to book a FREE no obligation rental appraisal or would like to discuss moving your current tenanted properties to Porters Estate Agents, please ring us on 01656 766666. We have listed some information below which you may find useful. Fully managed - 10% & VAT of each monthly rent. Initial administration fee of £130 including VAT. Let and rent collection - 5% & VAT of each monthly. Initial administration fee of £130 including VAT. Finder only - One off fee of £360 including VAT. From Autumn 2015 Landlords in Wales are required by Law to register themselves and their properties, this law will be enforceable from Autumn 2016. If you are involved with any part of the managing of the property you will also need to obtain a license. If your property is managed by an agent, the agent will be licensed on your behalf. Failure to comply with the new laws could result in fines, rent repayment schemes and being unable to serve a Section 21 Notice on your tenant. As a landlord, you must ensure that all upholstered furniture, soft furnishings, beds, mattresses, pillows, cushions, headboards, loose and stretch covers for furniture and seat pads supplied to a property as part of a letting must comply with these regulations. Exempted items are: curtains, carpets, bed linen, duvets, period and antique furniture manufactured before 1950. All furniture purchased new since 1st March 1990 should comply – if it does it will have a safety label attached to it at the point of sale. If in doubt, the items should be removed. The above regulations place a legal responsibility on landlords to make sure all electrical wiring, installations and appliances supplied as part of the property are safe. To comply with the regulations, all electrical installations and appliances in the property need to be regularly checked and serviced by an appropriately qualified engineer. Whilst there is not at present a specific statutory requirement placed upon a landlord to prove that such items are regularly checked or tested by a qualified electrical engineer, Porters strongly recommends to landlords that appropriate ongoing checks of such equipment should be scheduled and kept up to date. We can, if required, arrange for gas and electrical safety checks to be carried out on your behalf by a qualified engineer. All properties built since June 1992 are required to have mains-operated interlinked smoke detectors/alarms fitted on every floor. Although it is not a requirement for older properties, we recommend that smoke alarms and carbon monoxide detectors are fitted in all properties. There are many financial issues which should be considered when letting property. 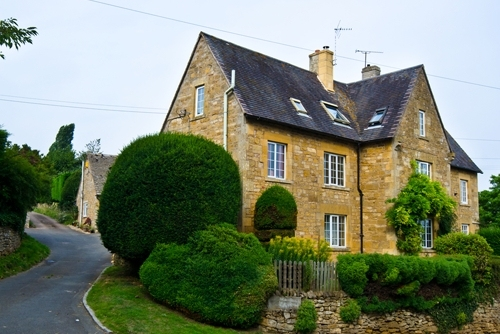 All income generated from letting property in the UK is liable to UK tax, whether the Landlord lives in the UK or not. Rental income must be declared to the taxman using a Self-Assessment tax return. HM Revenue & Customs (HMRC) assesses income individually, so a tax return must be completed by each legal owner of the property. Income tax is payable on the profit generated by letting your property. However, certain allowable expenses can be deducted to minimise your liability. If you do not live in the UK, Porters are required by law to deduct Basic Rate Tax from rent received and pay this to the taxman, unless we have authorisation from them to pay rent to you without deducting tax. Individuals have a usual place of abode outside the UK if they usually live abroad. Individuals who leave the UK for over 6 months also have a usual place of abode outside the UK, even though their absence may be temporary and their local HMRC office continues to treat them as resident for tax purposes following their departure. If your property is owned in joint names, you will both need to apply for approval to receive rent with no tax deducted. Once approval is granted by HMRC, we will be entitled to pay over rental income to you without deducting tax. From 1st October 2008, all rental properties are required to have an Energy Performance Certificate (EPC) which rates the energy efficiency and environmental impact of your property on a scale from A to G. The EPC must be made available to prospective tenants before a new tenancy. The EPC will remain valid for 10 years. Keeping your property in optimum condition will always pay dividends. Porters possesses vast experience, knowledge and enthusiasm that is entirely at your disposal. If you have any questions about refurbishing your property, just come and talk to us. From one bedroom flats to six bedroom houses, we have an excellent track record in helping you maximise your rental potential.